Tommy Carmellini is an agent with the CIA. If delving into specialties, Carmellini is a thief for the Company, a very experienced, very talented thief who was recruited while in college not in spite of his chosen way of paying the bills but because of it. He is quite good at getting into places he should not, getting things that do not belong to him, and getting away with it. For someone involved in such illegal behavior, his way of coming to work for his current employer might seem a tad oxymoronic - he was a student at the Stanford Law School. He enjoyed his studies and planned on using his degree to move into the profitable world of corporate law with a possible late lateral movement into politics. Getting through law school, though, was expensive and Carmellini did not come from a wealthy family. Theft paid the bills. Carmellini learned quickly though that working with someone you trust can have a downside when that person wasn't as trustworthy as you thought and his cohort gave him up for a lighter sentence and agreeing, when he was approached by a recruiter, to work for the CIA seemed a better idea than jail. He was allowed, perhaps encouraged, to finish his degree, went through the Farm to learn his spy craft, and then moved into his new career, different than he had intended but a lot more fun and exciting. It comes as no surprise that a covert organization like the CIA, tasked with learning secrets about every other nation, could use a man of Carmellini's skills. He would be sent all over the world from black-bag jobs and he would never predict if the next place he would find his way into would be an embassy or a corporate office or a rich man mansion. Secrets are hidden all over and men like Carmellini are trained to find them. In the States, he is occasionally seconded to the FBI to do some quiet jobs for them and, of one got really technical, almost certainly a couple on American soil for the CIA. 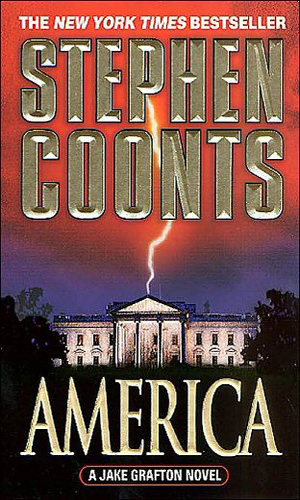 When he is not on the job, Carmellini has half interest in a locksmith shop in D.C. along with Willie the Wire, a man 20 years his senior and someone who has forgotten more about locks than most ever knew. Their friendship is deep but so is their good-natured competition. In the many assignments Carmellini has had over the years he has been with the Agency, he came into contact with Jake Grafton, an Admiral in the U.S. Navy and a force in the CIA. Their work together gave them a chance to become friends and soon Carmellini was the go-to guy when Grafton needed help. Conversely, when Carmellini came upon something big, it would be Grafton he would seek. The books listed for the "Tommy Carmellini" series are also listed for the "Jake Grafton" series, starting with the 7th book about Grafton. 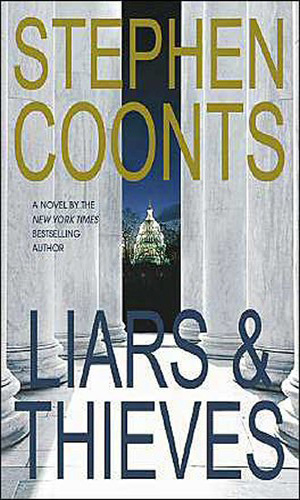 Carmellini is brought into the Grafton series as a minor character whose role got bigger and bigger over the next few books until Liars & Thieves, at which time the main character job switched to Carmellini. Grafton continued to play a big role in each subsequent book but it was Carmellini who carried the bulk of the action. 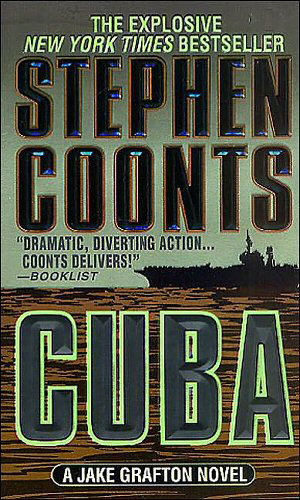 The head of the Cuban secret police has a scheme to use chemical weapons created by Cuba in warheads left by the Soviets to force a confrontation with the U.S. to get the Cuban people to follow him when Castro dies. 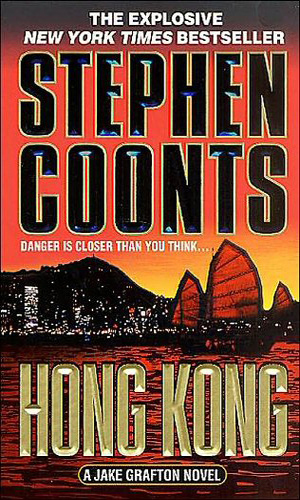 Hong Kong, now under the control of the Red Chinese, is where Admiral Jake Grafton and Tommy Carmellini are sent to investigate a money-laundering scheme that has severe political implications embarrassing to the American government. 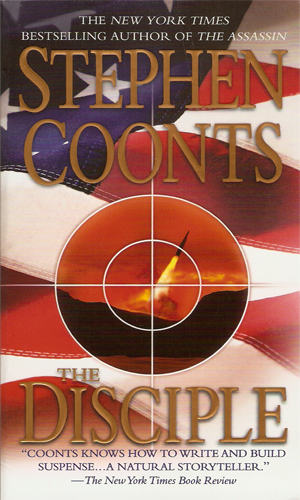 When a NASA satellite serving as the start of a new antimissile defense system just disappears, Jake Grafton is ordered to find out how and why and he brings Tommy Carmellini to help. A rogue Russian general wants to sell 4 nuclear weapons. A radical Islamic group wants to buy. Jake Grafton and Tommy Carmellini must stop both parties. 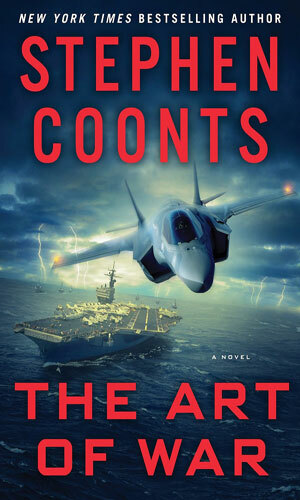 Tommy Carmellini is chosen by Admiral Grafton to help a Russian defector survive to remember secrets worth killing for. Tommy Carmellini assists Grafton in Paris to find out what a French mole in Al-Queda knows of upcoming plans. 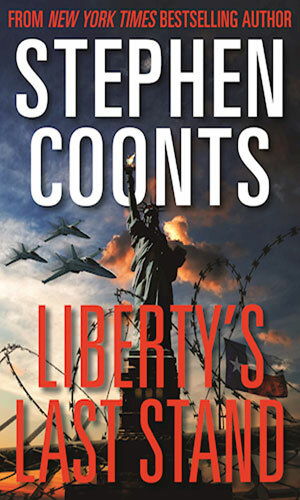 The escape of a major terrorist leader convinces Grafton that there is a leak in the organization somewhere. 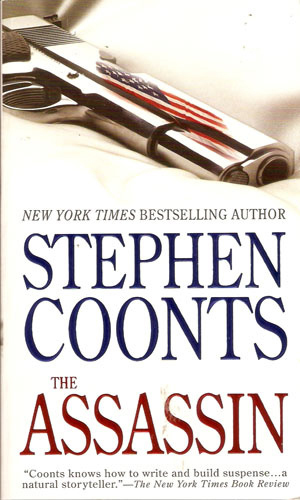 Tommy Carmellini is sent to plug the leak and to stop the assassin who is now killing key Western officials. The President of Iran is determined to start World War III. 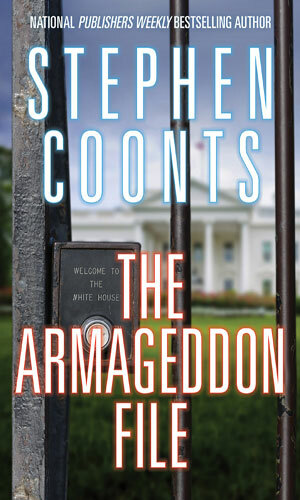 When Grafton and Carmellini are unable to stop him, they are left with the job of knocking out nuclear missiles aimed throughout the Middle East. 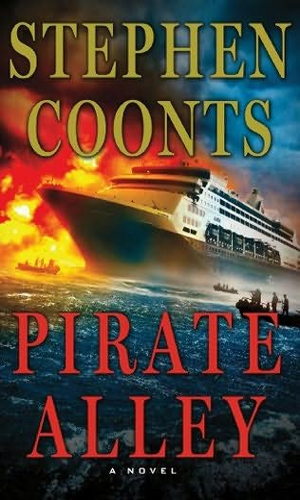 When a cruise ship is taken by Somali pirates demanding a large ransom, Jake Grafton is asked to handle the negotiations whil Tommy Carmellini leads a team to rescue the hostages. Meanwhile, Al-Qaeda operatives are standing by to destroy the ship and all onboard. 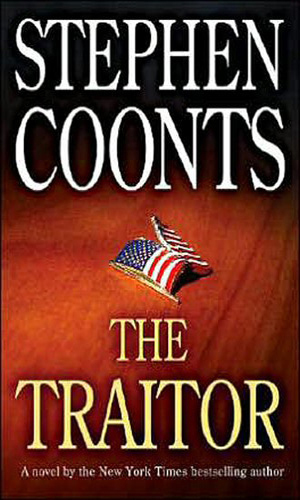 With the murder of the CIA Director, Jake Grafton is given his job. The first major problem is a series of other assassinations but Grafton believes they are actually meant to hide an even bigger plot. Tommy Carmellini is put into action which will lead him to Norfolk and a plot to destroy the Atlantic Fleet. When the President is the target of a decorated sniper, the country is thrown into martial law. Jake Grafton and Tommy Carmellini, trying to find the real villains behind the attack, instead find themselves on the wrong side of the law. The election was one of the most divisive in the history of the U.S. Coming not long after the new Administration takes charge, the Chief of Staff gets evidence that voting machine may have been tampered with. Jake Grafton and Tommy Carmellini are asked to investigate to see how far the scheme went. As a big fan of Stephen Coonts' Jake Grafton books, I enjoyed meeting a new minor character named Tommy Carmellini in Cuba, the 7th book in the series. 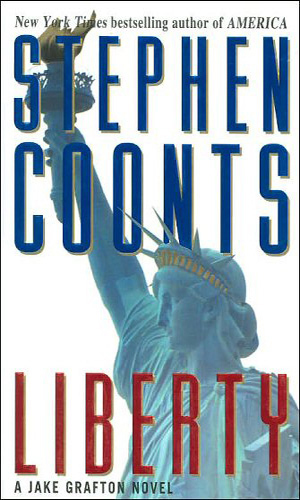 He was very interesting and while I was a Grafton backer, I enjoyed the sharp differences between the two characters. Grafton's role in the "partnership" is that of senior, wiser mentor who helps Carmellini see the bigger picture of assignments. Carmellini is the younger, faster, and craftier legs and hands that the once spry and capable Grafton is not so much anymore. While Grafton is a solid, dependable, almost by-the-book (he did rise through the military ranks to become an Admiral!) operative, Carmellini is a lot more crafty and would (and does) go in the back door and take a look around a bit before heading to the front. The two work very well together but even better, they each work just fine alone. That is important because it means that Carmellini does not have to have the help of or direction of Grafton to get the job done. It also means Carmellini can get into some pretty interesting situations the elder man would not.